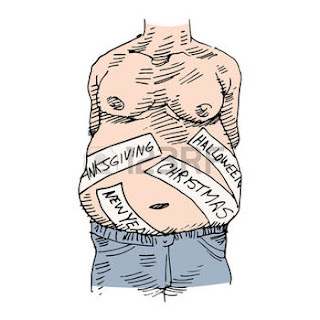 HOLIDAY WEIGHT WATCHING: Tis the season to eat. To avoid gaining the "Holiday 7" pounds of weight gain this year, skip the evening carb sessions. Stick to protein in the evenings. Get enough carbs...Healthy carbs...Early in the day, so you don't overdo it at the parties.